When you leave office today. 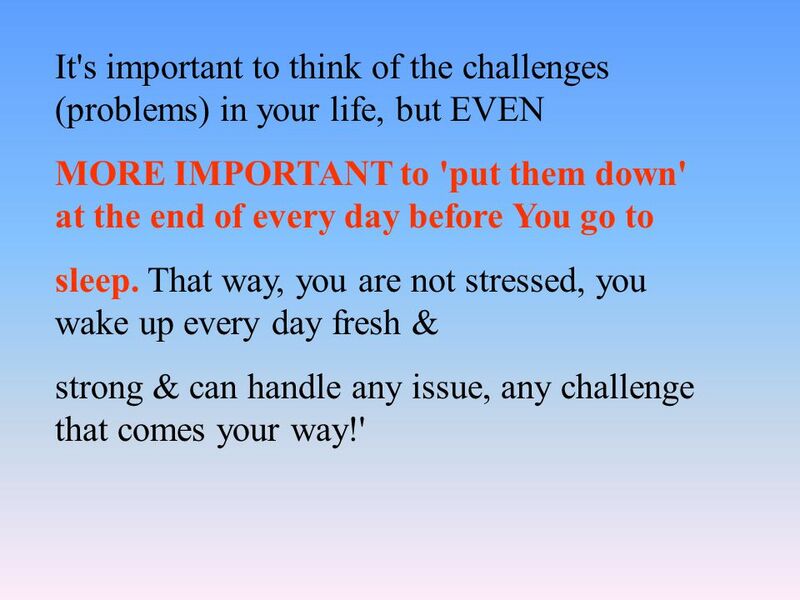 Study this small story, hope that makes a BIG change in you. 1 When you leave office today. 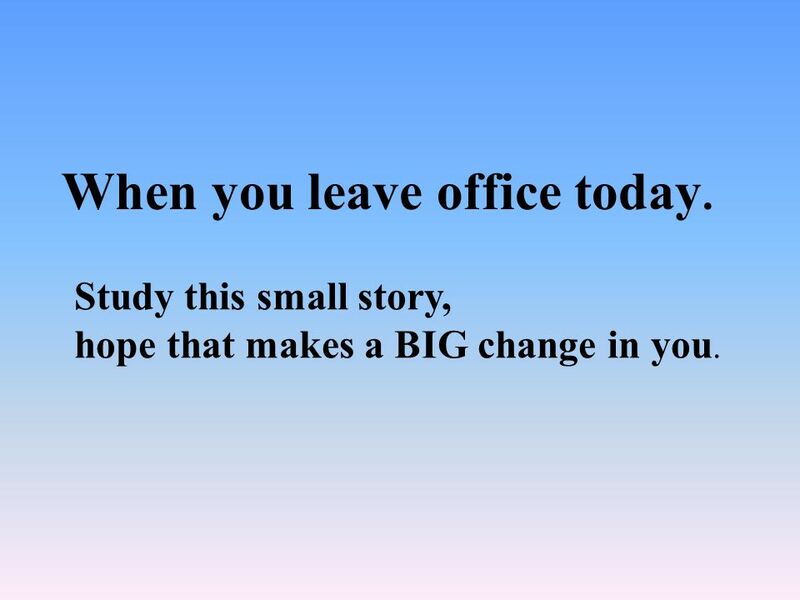 Study this small story, hope that makes a BIG change in you. 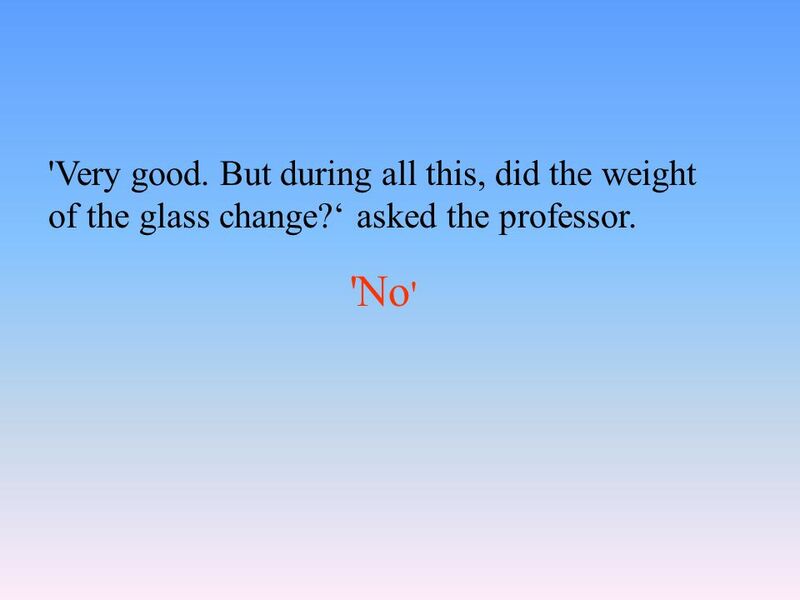 2 Professor began his class by holding up a glass with some water in it. 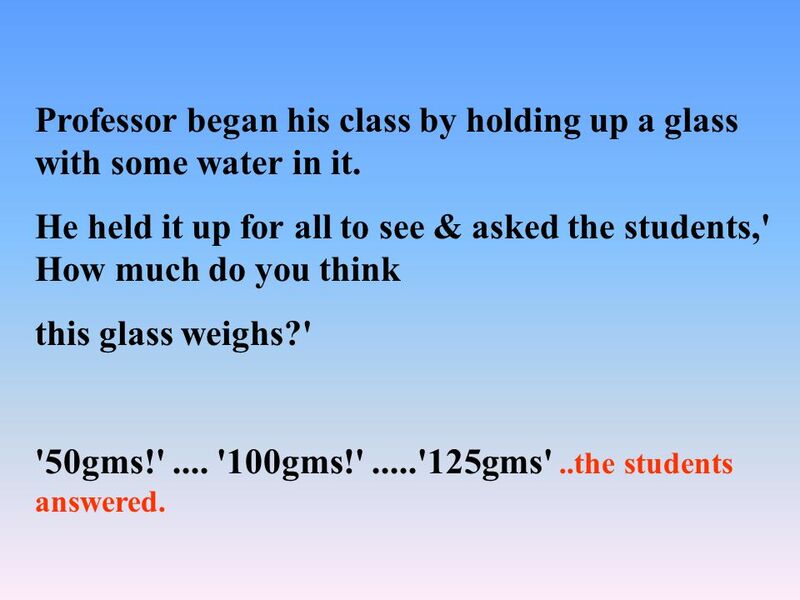 He held it up for all to see & asked the students,' How much do you think this glass weighs?' '50gms!'.... '100gms!'..... 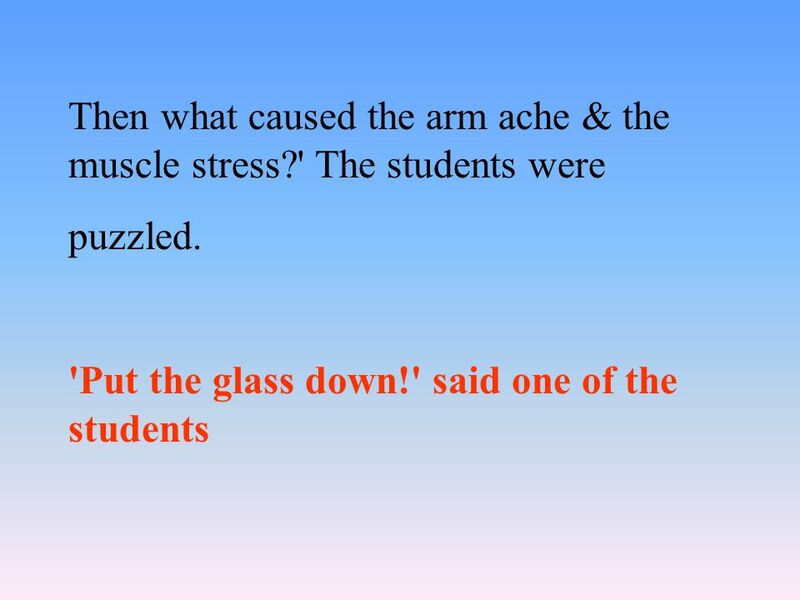 '125gms'..the students answered. 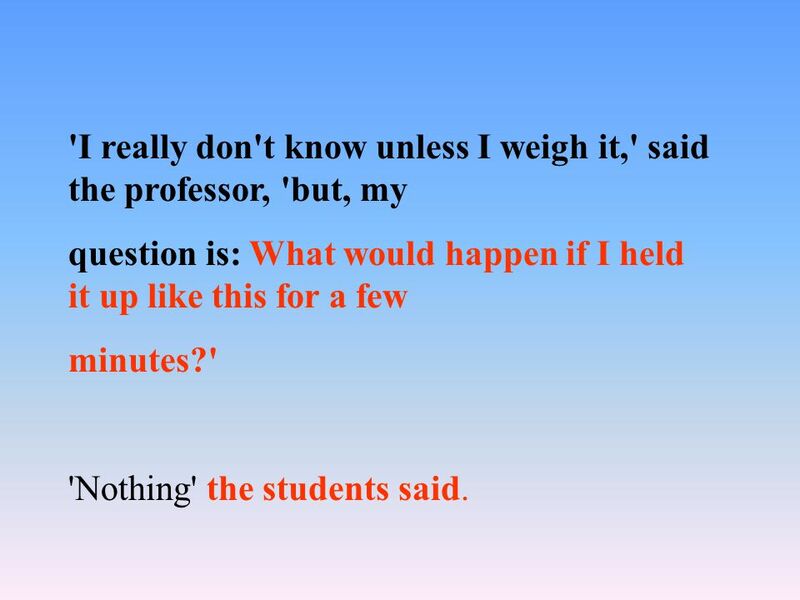 3 'I really don't know unless I weigh it,' said the professor, 'but, my question is: What would happen if I held it up like this for a few minutes?' 'Nothing' the students said. 5 You're right, now what would happen if I held it for a day?' 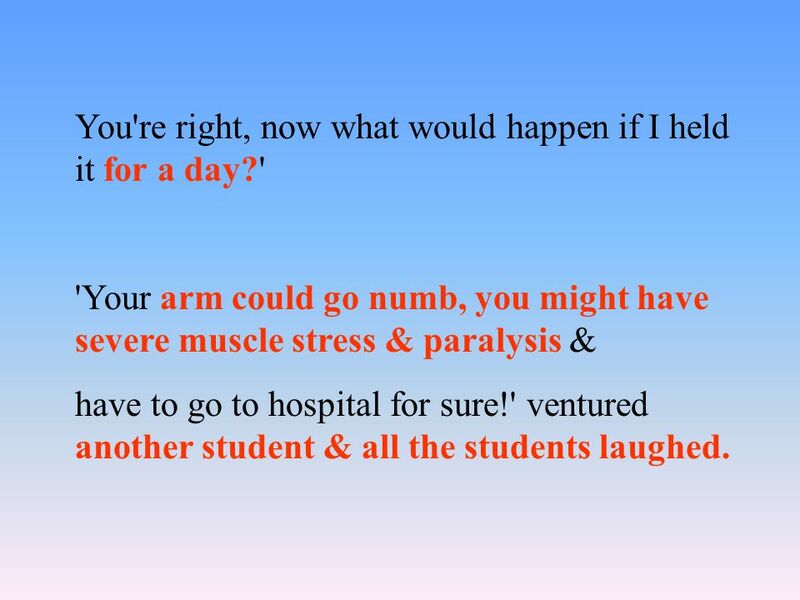 'Your arm could go numb, you might have severe muscle stress & paralysis & have to go to hospital for sure!' ventured another student & all the students laughed. 8 'Exactly!' 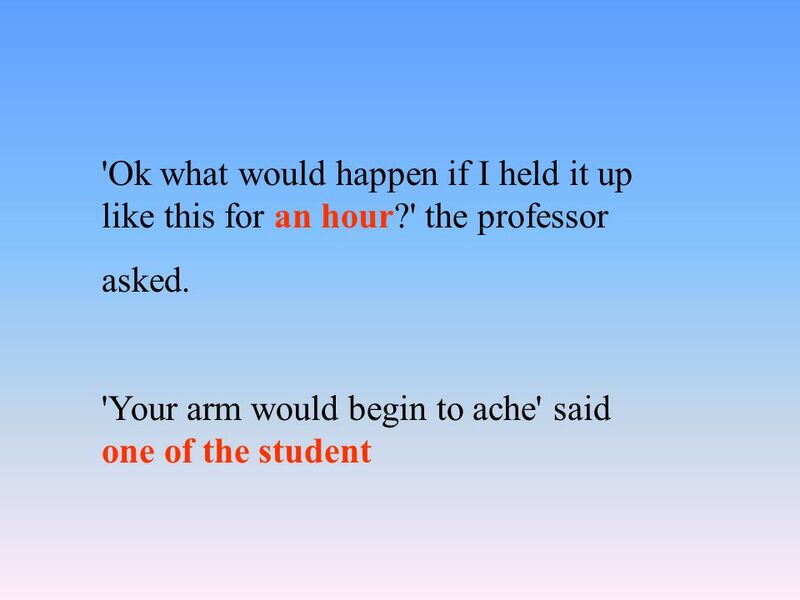 said the professor.' Life's problems are something like this. Hold it for a few minutes in your head & they seem OK. Think of them for a long time & they begin to ache. 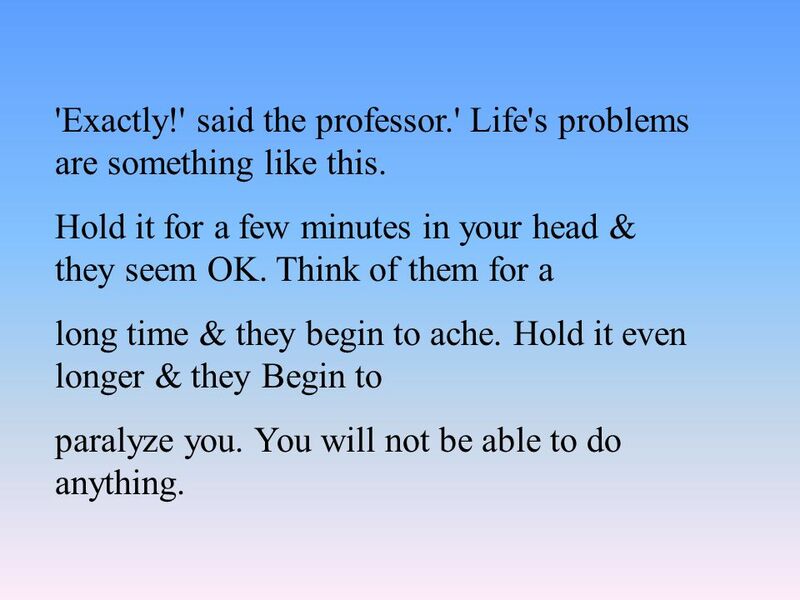 Hold it even longer & they Begin to paralyze you. You will not be able to do anything. 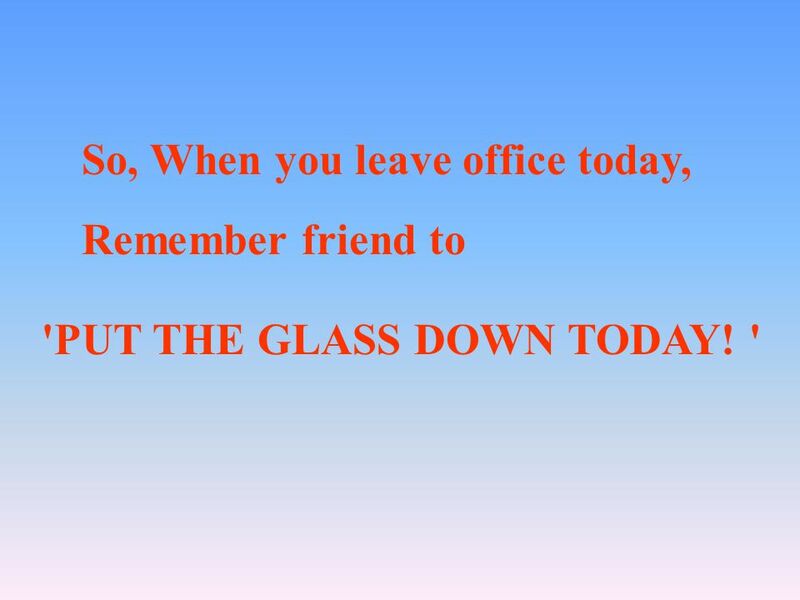 Download ppt "When you leave office today. Study this small story, hope that makes a BIG change in you." Lesson 16 New Words & Expressions. Charles Plumb was a US Navy jet pilot in Vietnam. Quantifiers are words that are used to state quantity or amount of something without stating the exact number. Tips for Testing By: Kayla Richardson. Are you hungry? Tests aren’t easy when your hungry. You need to eat a good breakfast in the morning when you have. Surveys and Questionnaires. How Many People Should I Ask? Ask a lot of people many short questions: Yes/No Likert Scale 5 4 3 2 1 Ask a smaller number.